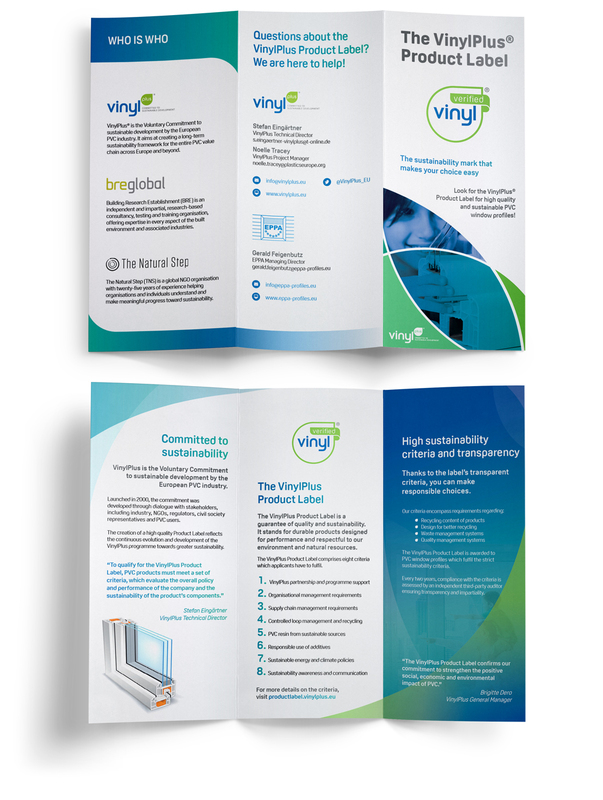 The European PVC Industry with its programme VinylPlus® has taken a step forward in the digital era. These last months they have reviewed their communication systems, including a new newsletter which is going to be sent thrice per year to all the members of the group. 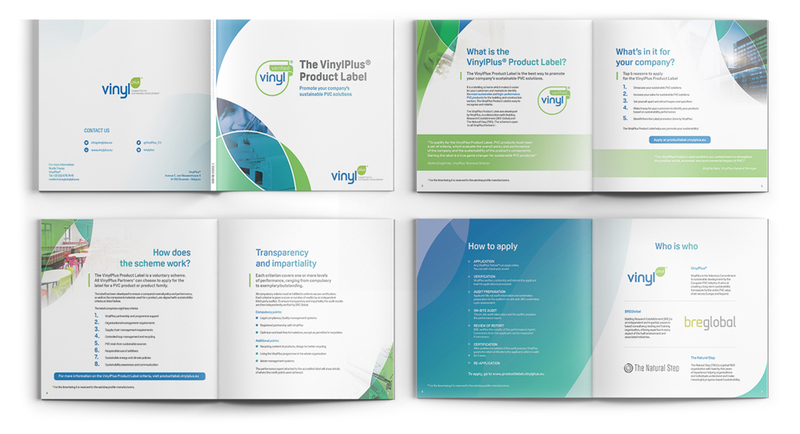 These are the new models for printing and digital, including a new logo designed for this publication. Creation of the logo for the new communication system. Concept and redesign of the eNewsletter, set on Mailchimp for easy modifications. 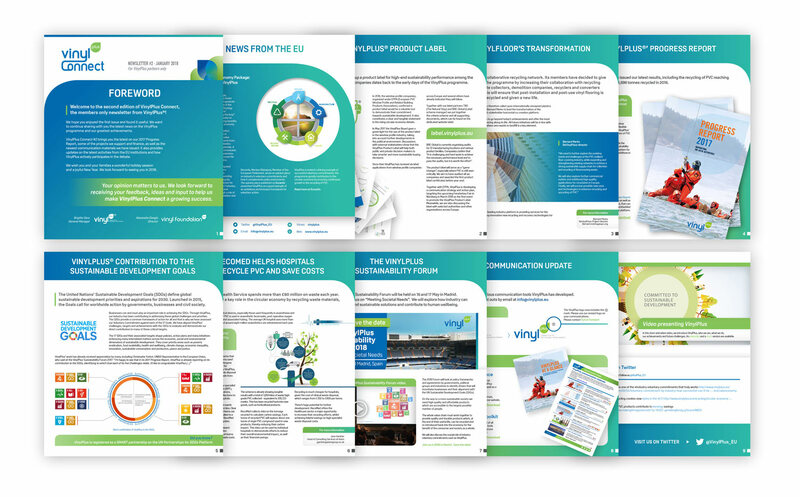 Digital newsletter for users outside the platform. 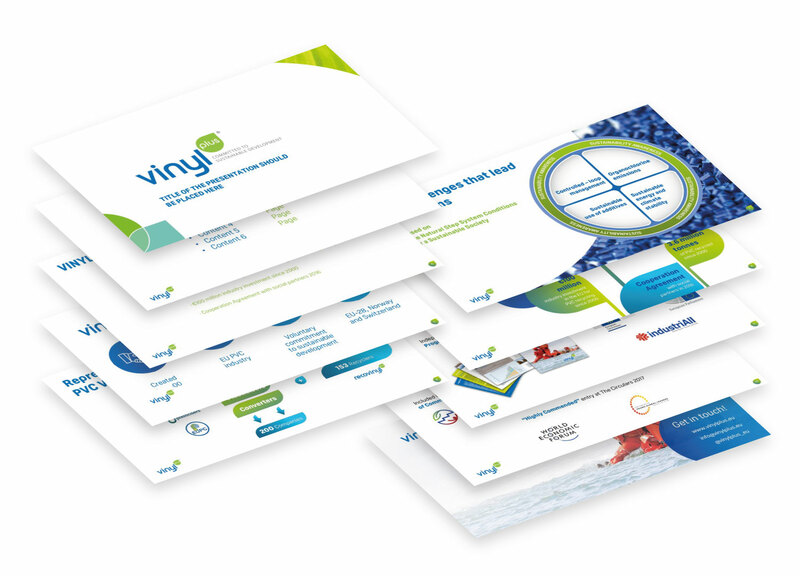 The work came in two stages: the first one, following the 2000 brand guidelines, and the new one, designer accordingly to the new corporate identity developed in 2018. 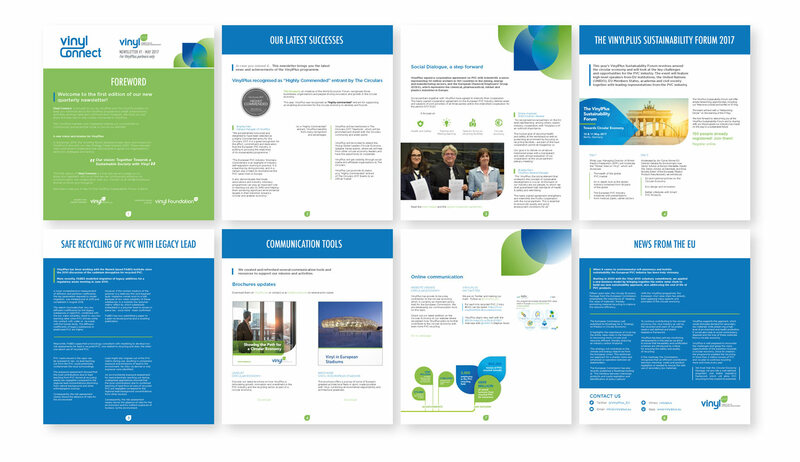 Brochure to announce limited-time campaigns. 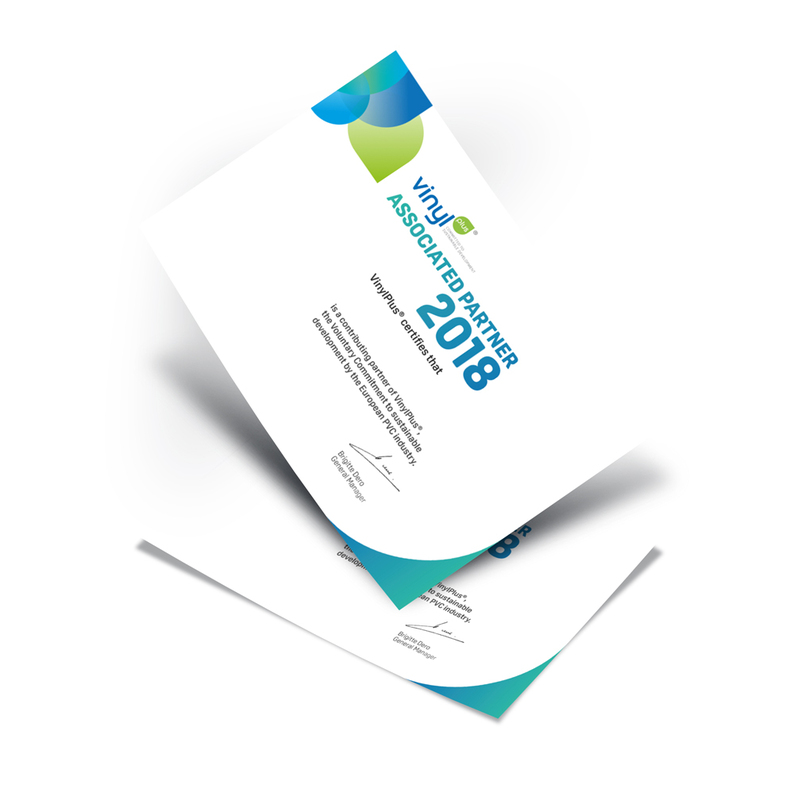 Performance certificates to promote sustainable actions. 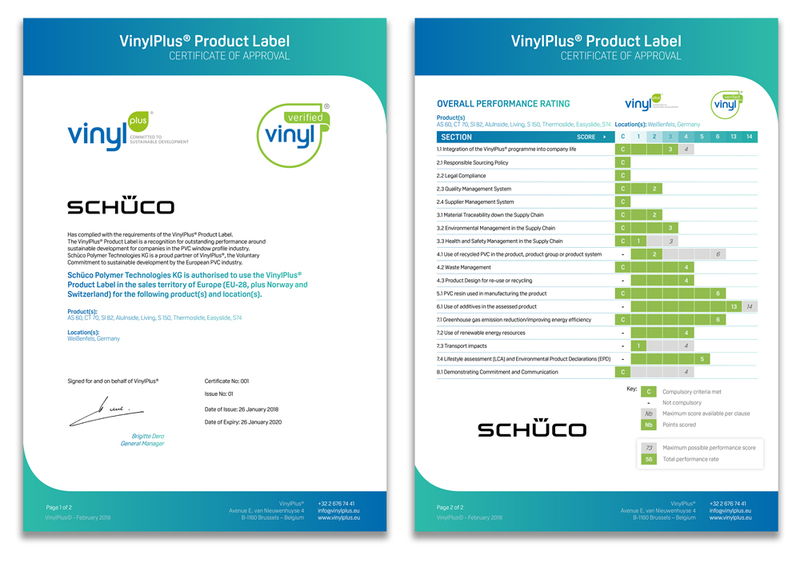 After designing the 2017 VinylPlus Certificate, it had to be renewed in order to fit the 2018 corporate guidelines. Easy-customizable template for employees and internal presenations. 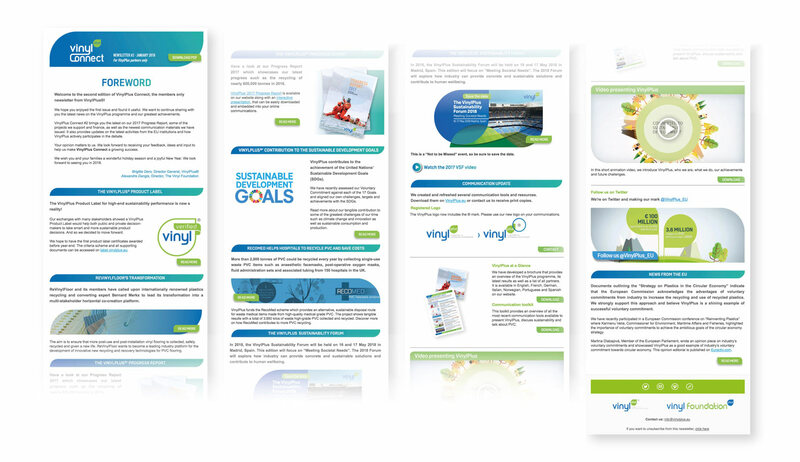 It includes different graphs and animations designs.